Prosthetic Gums - Dr. Isaac Comfortes, D.D.S. Dr. Isaac Comfortes and his certified lab technician have rare expertise in replacing unsightly gum tissue with prosthetic gums. Dr. Isaac Comfortes taken the time to work on perfecting some of the innovative materials and methods used in fabrication of custom gum prosthetics. This interest and mastery of the craft was born out of concern for his patients who wanted beautiful, healthy appearing smiles but for various reason could not have natural gum tissue restored through bone and gum grafting. A gum mask has small projections that go between the teeth at the base of the teeth to hold the mask in place. Saliva and lip pressure increase the retention. If you have a gum mask, it will stay in place so you can smile and speak with confidence. You can even eat with confidence while wearing your gum mask. The gum mask is very pliable and emulates the appearance of gum tissue. Placing the gum mask on and removing it for cleaning are easy. Patients love wearing them. 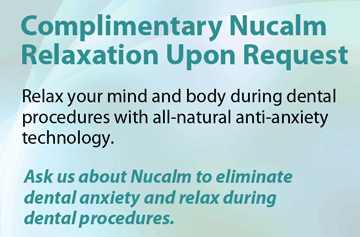 They appear natural, enhance the smile, and give patients the confidence to smile. 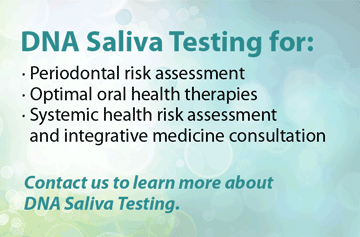 They stay in place while patients eat, drink, speak, and laugh…through all kinds of oral function. If you have suffered periodontal erosion, are not a candidate for bone and gum grafts, have a high smile line and want to hide dark lines around tooth roots or implants, or have irregular gum tissue and desire relatively fast treatment to give you an aesthetic smile, a gum mask could be for you. Our Total Health Dentistry of Encino lab technician will fabricate your custom gum mask to fit and match your smile. With gentle cleaning and handling, your prosthetic gums will last long into the future. They are easy to replace if you need a new one. Are you interested in prosthetic gums? Give Total Health Dentistry in Encino a call today. 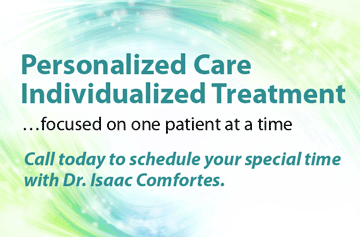 Dr. Isaac Comfortes will be delighted to meet with you and consult with you about your special mouth. 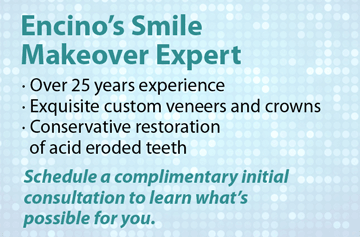 Let him help you smile with confidence again.